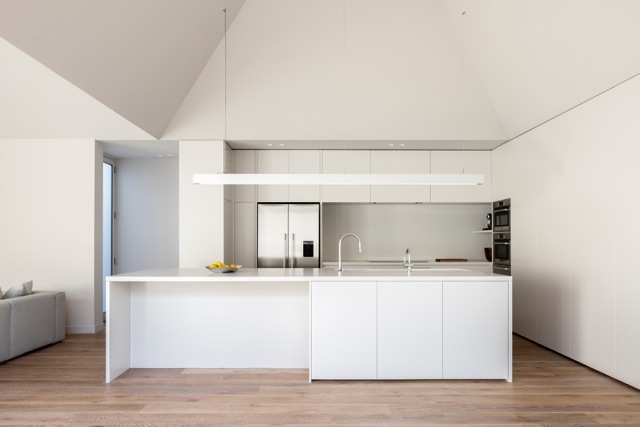 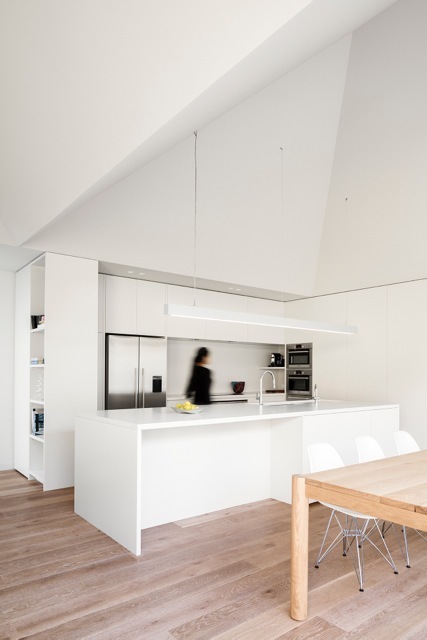 Davidov Partners Architects designed a minimalist residential extension for a single story house in Melbourne, Australia. 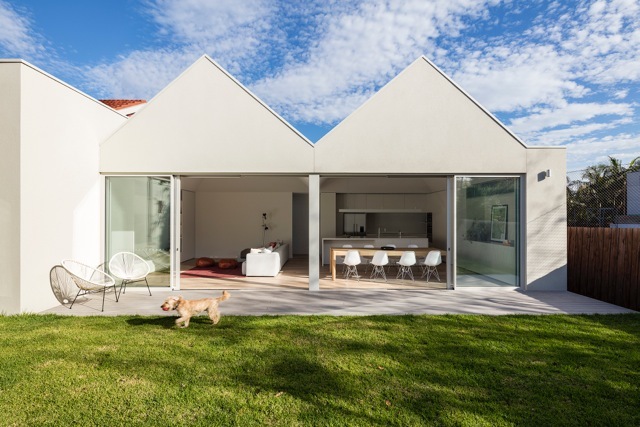 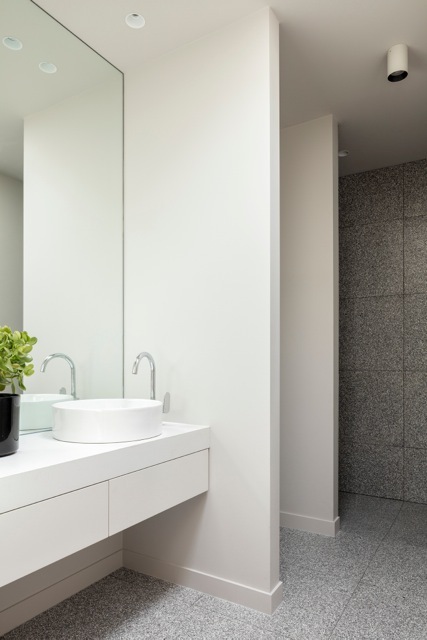 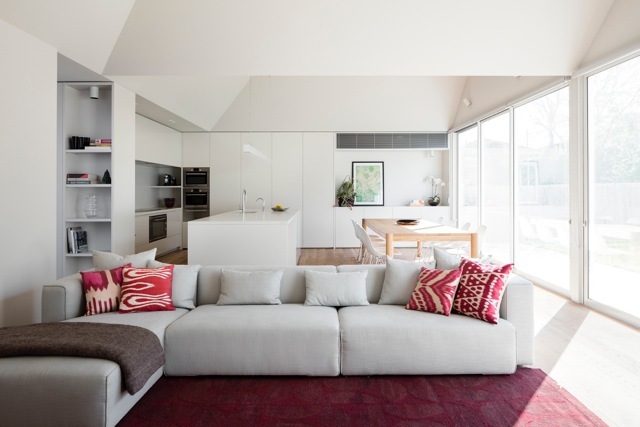 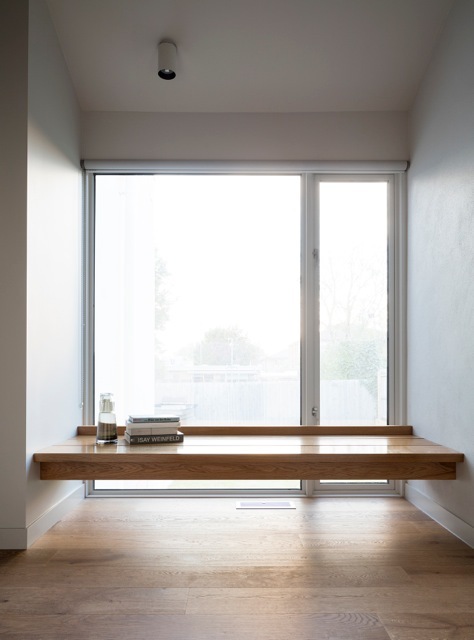 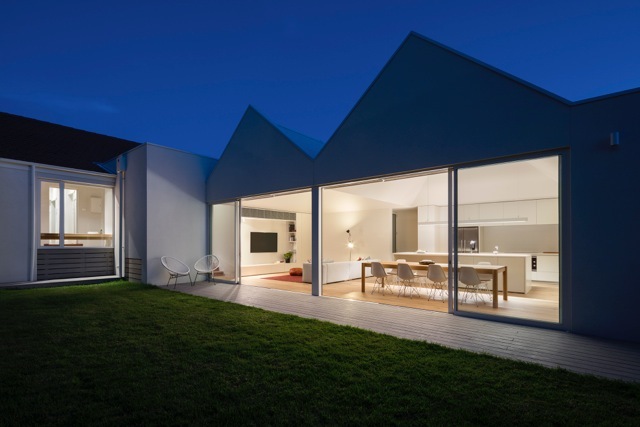 The SSK Residence involved the renovation and extension to a single storey Californian Bungalow in Caulfield North. 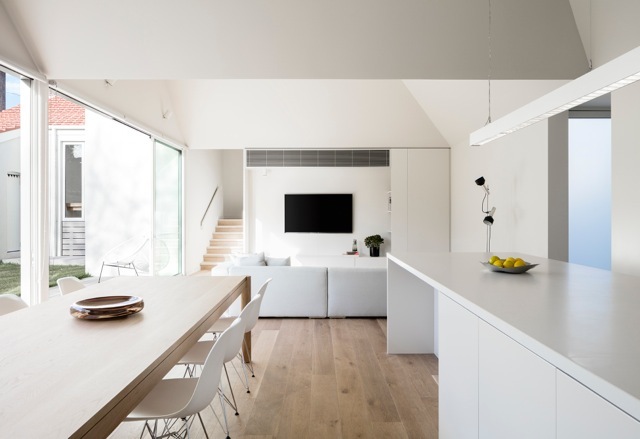 In order to unlock the under utilised and removed back yard of the North facing suburban block a new wing was proposed to allow the main living and dining areas to engage directly with the back yard and free up space in the existing house for additional bedrooms, bathrooms and storage. 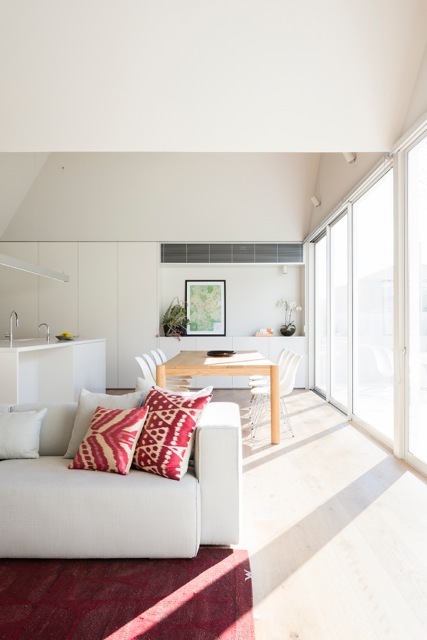 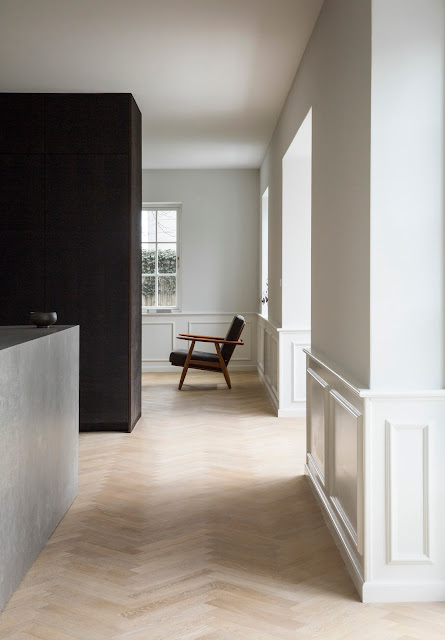 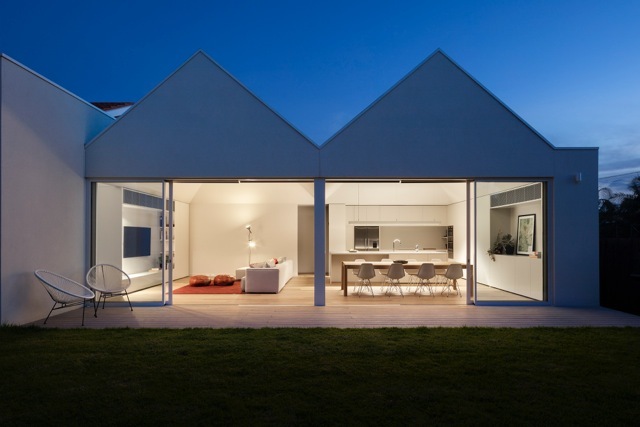 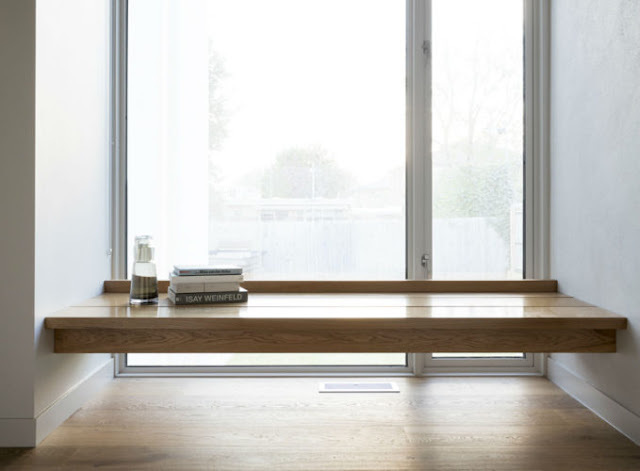 The extension took the form of a north facing barn that allowed the large room to be visually, yet unobtrusively divided into the two functional zones; living and dining.